The Jaguars announced the release of former Colts first-round pick Bjoern Werner. In a related move, safety James Sample was placed on IR and tight end Nic Jacobs was released. The Jaguars are now down to 75. 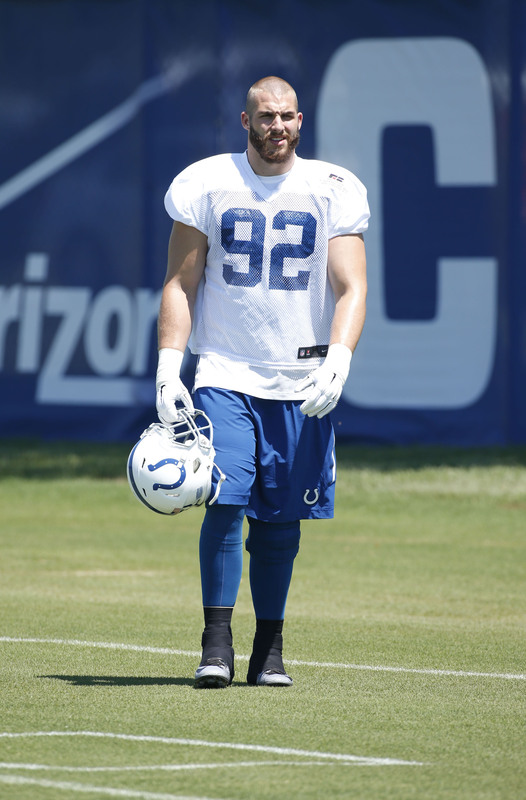 Werner, who turns 26 today, appeared in 38 games over the last three years for the Colts, including 16 starts. In that time, the Florida State alum registered 77 tackles (61 solo), 6.5 sacks, five passes defensed, one forced fumble, and two fumble recoveries. However, the majority of Werner’s production came in his first two years in the league — in 2015, he appeared in 10 games and picked up just 11 total tackles and one fumble recovery. After the season, he was waived by the Colts. Werner never lived up to expectations in Indianapolis, but was an inexpensive gamble for the Jaguars. His deal granted him an $80K bonus if he made the roster plus sack incentives, but it is unlikely that it contained any significant guarantees. The Jaguars won’t have a competition at left tackle between Luke Joeckel and free agent pickup Kelvin Beachum, according to Ryan O’Halloran of Jacksonville.com. Instead, the job will belong to Beachum if he’s able to return successfully from a torn ACL. Beachum – who signed a unique deal earlier this month that could be worth either $4.5MM for one year or $44.5MM over five years – said Friday that he does indeed expect to start when Week 1 rolls around in September. That’s bad news for Joeckel, who has started in all 35 career appearances since the Jaguars drafted him second overall in 2013. 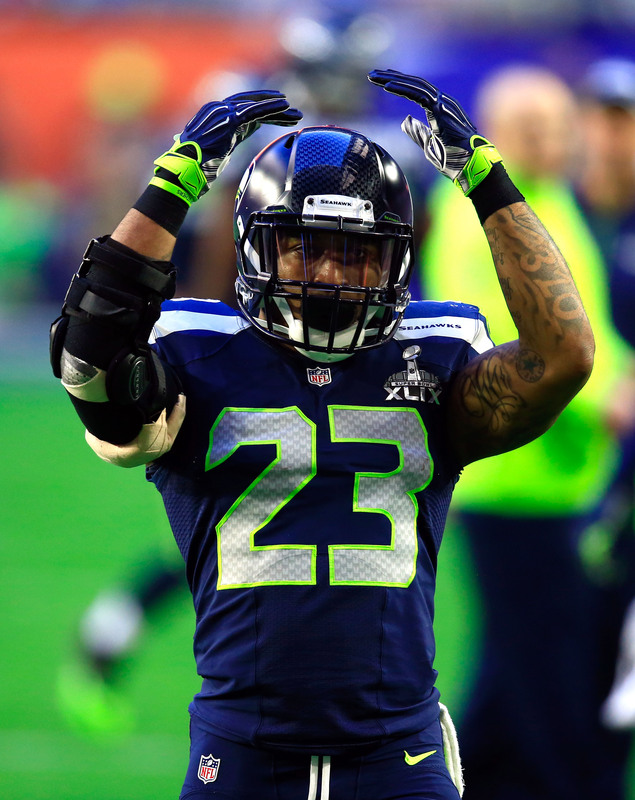 The 24-year-old hasn’t lived up to his draft status, though, and could end up in a reserve role in 2016. Jacksonville must decide by early May whether to exercise Joeckel’s fifth-year option for 2017, but O’Halloran expects the club to decline it because doing otherwise would kill the lineman’s trade value. If the Jags pick up the option, it would guarantee Joeckel upward of $11MM in 2017, though only in the event of a serious injury. Teams wouldn’t want to risk acquiring Joeckel and being stuck with that kind of financial commitment in the event of a nightmare scenario like, say, a torn Achilles. On the other hand, a version of Joeckel who doesn’t come with a 2017 option attached might appeal to clubs looking for help at left tackle next season. Given the key injuries and suspensions they’ve endured this year, the fact that the Steelers are 6-4 and in the driver’s seat for a wild-card spot in the AFC is an impressive feat. “I don’t think there has been a team that has been through as much as we have. Period,” guard Ramon Foster said. Overcoming its adversity and staying in the race means Pittsburgh has a legitimate chance to end up representing the AFC in the Super Bowl, Mark Kaboly of the Pittsburgh Tribune-Review writes. In their past two title-winning seasons, in 2005 and ’08, the Steelers got hot down the stretch and carried that through the playoffs. Their players are cognizant of that. “This is the one thing we have been saying all year, that we want to play our best ball at the end of the year, to keep growing and getting better,” said linebacker Arthur Moats. Steelers quarterback Ben Roethlisberger had lofty praise for backup Landry Jones, per the Tribune-Review’s Joe Starkey. “He is, above the shoulders, as smart and sharp as any quarterback I’ve ever been around,” Roethlisberger stated. “That’s a credit to his hard work, dedication and determination. He’s always in the meetings almost bugging our quarterback coach because he’s just constantly doing more and more.” Jones has filled in during Roethlisberger’s multiple injuries this season and completed just under 61 percent of passes on 9.39 yards per attempt, also tossing three touchdowns and two interceptions. Barry Jackson of the Miami Herald took a look back at the Dolphins’ offseason, concluding that their failure to address their interior offensive line through either free agency or the draft has been particularly regrettable. The Dolphins could have used the money they spent on disappointing wideout Greg Jennings toward the guard position, which hasn’t fared well with Billy Turner and Dallas Thomas, or spent a late-round draft pick on La’el Collins. As Jackson points out, though, the Dolphins were joined by everyone else in passing on Collins – who went undrafted because of a murder investigation. Collins’ name was cleared, however, and he ultimately signed with Dallas and has had a terrific rookie year. Thanks to rookie James Sample‘s injury troubles, the Jaguars will address the free safety position through free agency or with a high-round draft pick this offseason, according to Ryan O’Halloran of Jacksonville.com. The Jags wanted to see if Sample, a fourth-round pick, could handle a starting role this year. However, a broken forearm slowed him over the summer and a shoulder injury forced him to season-ending injured reserve earlier this week. The Jags weren’t able to gather enough info on Sample this year to see whether he could be counted on in a No. 1 role going forward, so they’ll have to find someone else when the season ends.